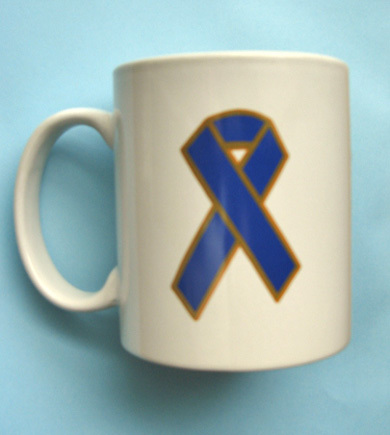 "Stop Domestic Violence" theme related awareness products. Lifejackets Domestic Violence Awareness products are available with a variety of slogans and themes from a simply ribbon shape to more elaborate designs and slogans. Each design is followed by a list of the products available with its imprint. 11 oz. 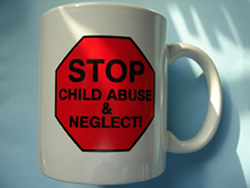 white ceramic mug with multi-color imprint, only $4.80 each. Minimum order of six mugs. See info page for sale packs. 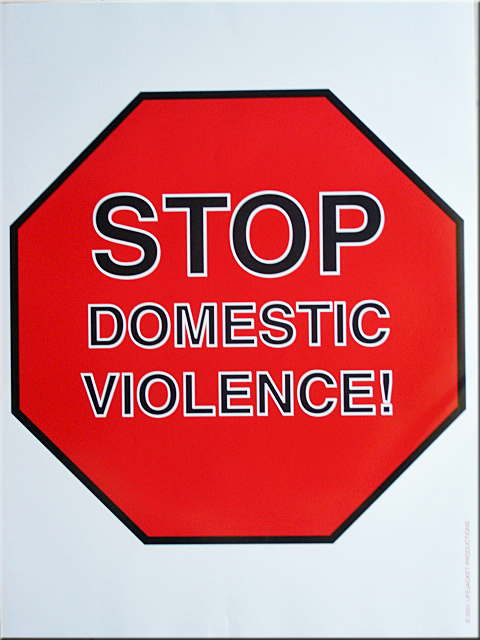 Red pencil with white imprint of a STOP SIGN and the words STOP DOMESTIC VIOLENCE! $0.25 each. 2" Stickers with color imprint. Roll of 1,000 perforated stickers for easy use. Only $53.95 per roll. 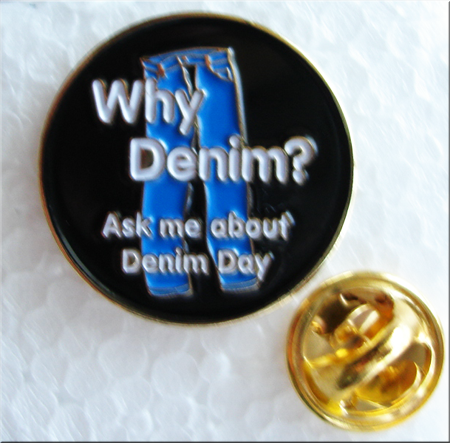 See info page for special sale on all our sticker designs. 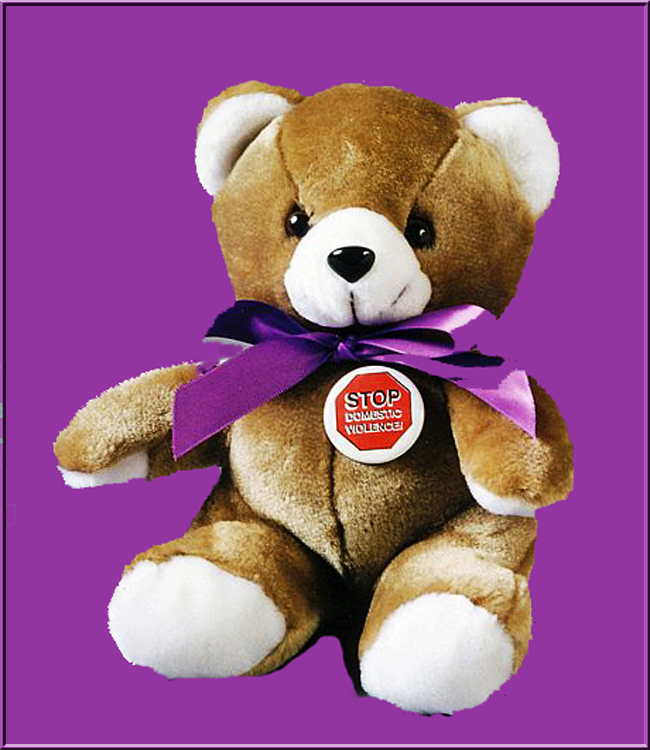 Plush 9" Teddy-Bear with Purple Ribbon & STOP DOMESTIC VIOLENC Button. Only $5.95 each. Large 3 1/2" x 8" Purple Automobile Magnet with a white imprint. 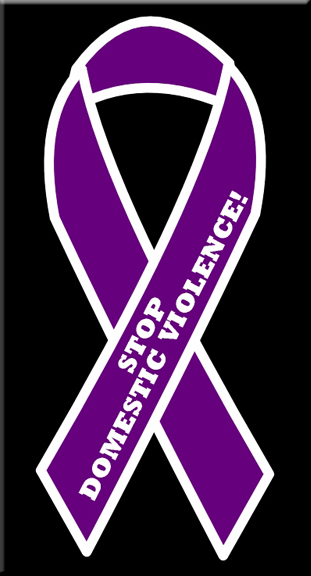 White pencil imprinted with a Purple Ribbon and the words "STOP DOMESTIC VIOLENCE" only $0.25 each. See info page for quantity discounts. 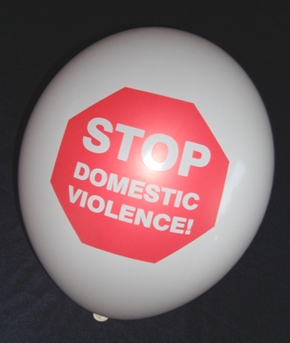 Red Pen with white imprint of a STOP SIGN & the words STOP DOMESTIC VIOLENCE! Only $0.45 each. See info page quantity discounts. 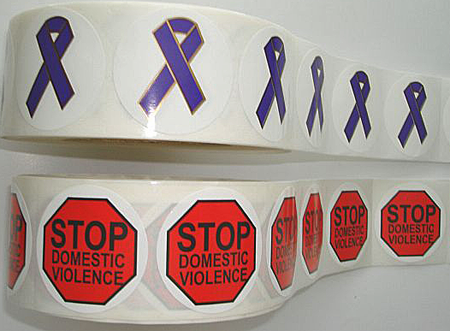 1.50" Domestic Violence Awareness Button with color imprint, only $0.50 each. See info page for quantity discounts.